Beautiful home with huge upside with some TLC. Contemporary style with large front deck for outdoor entertainment. Large kitchen and great room with cathedral ceilings. 3 bedrooms 3 baths 2 car garage nd shop area. 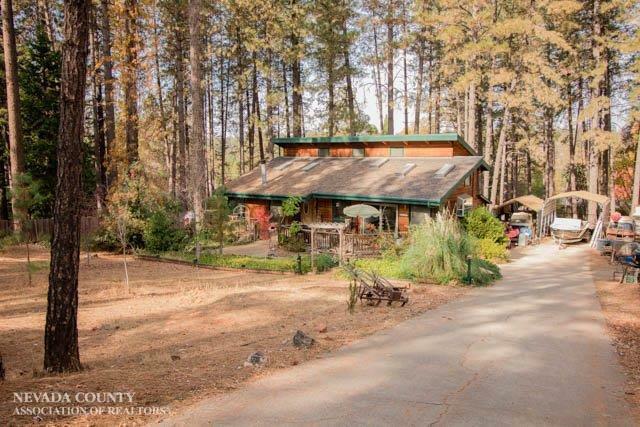 All this on a 1 plus acre lot with tall trees that offer wonderful shade. Room for RV or boat. Easy access to Hwy 49. Come take a look at this contemporary home.